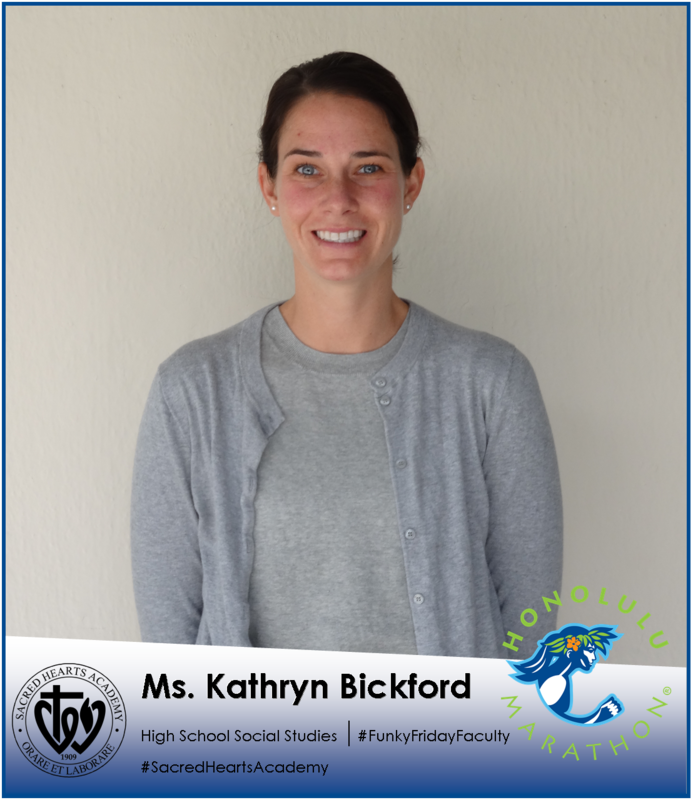 It seems only natural that Kathryn Bickford would become an educator after gaining inspiration from her mother, a fellow teacher. In guiding her students, she draws upon her experiences playing collegiate lacrosse for four years, including three appearances at the National Championships, and as a coach for five years. The former Massachusetts resident earned her Bachelor’s Degree in Historic Preservation from the University of Mary Washington and holds a Master’s Degree in History from Salem State University. Prior to joining the Academy, she logged six years of teaching stints in Massachusetts and California. Bickford thoroughly enjoys reading a good book, engaging in lots of laughter and being outdoors, especially going hiking and to the beach. She also has set a goal to complete the Honolulu Marathon this December, her fifth such race!